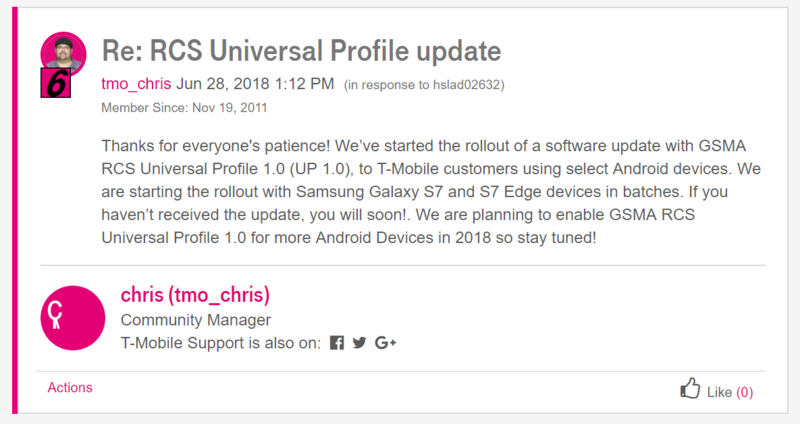 The announcement landed silently yesterday, via a post on the T-Mobile support forums. It seems the only currently supported devices are Samsung's Galaxy S7 and S7 Edge, and an update enabling the feature is rolling out in batches. Technically, T-Mobile has just made its initially projected schedule, but it's unfortunate that support is currently limited to just a pair of phones. We've also received a few tips that an OTA for Oreo is rolling out over to the T-Mobile Galaxy S7 and S7 Edge, and it's possible that's the very update which enables this feature for the two devices. Whatever the mechanism, at least one more carrier in the US is moving to the shared standard. Let's just hope a few more phones get the functionality soon. There are rumblings that we'll be getting a FAQ to answer some of our questions next week, so stay tuned. Neville Ray, CTO for the house of Legere, has just confirmed that RCS Universal Profile is rolling out. 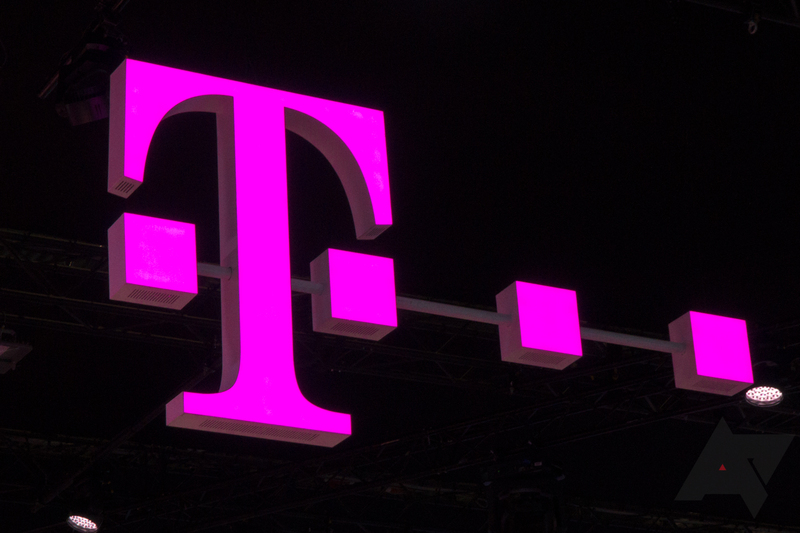 We reached out to T-Mobile to ask which RCS hub it is using (Google's or Samsung's), and the company responded it wasn't using a hub at all. The GSMA allows carriers to build their own infrastructure instead of using an interconnect hub, but it means we don't know what application will be required to send and receive RCS messages on T-Mobile. We’ve connected with Google and we’ll interconnect our solutions as soon as Google is ready. It’ll happen, but no ETA as of yet.